Today The Big Takeover has the pleasure of premiering ‘Black Dog’ the lead track from the forthcoming On Top album by celebrated composer Philippe Petit. This is the second album released as Philippe Petit & Friends. Originally intended to become the third part in a trilogy originated by Strings Of Consciousness, the SOC collective broke up but Philippe continued inviting his friends, musicians and singers to collaborate with him – namely, the ones he felt were “On Top”. ‘Black Dog’ features highly impressive vocals by Charlie Finke, whose very convincing delivery and dynamic combines elements reminiscent of Bauhaus’ Peter Murphy, Japan’s David Sylvian and The Stranglers’ Hugh Cornwell. It’s one thrill of a ride to flow with the ups and downs presented in this work – commendable composition. With Philippe Petit on electronics, Rafaelle Rinaudo contributes electric harp and Hervé Vincenti handles guitars and percussion. On the first track ‘The Hammer + The Compliant Man’, Philippe, Eugene S. Robinson and Hervé Vincenti give us a tense and at times tender narrative. This plays out like an old radio drama except it’s urgent and you feel somehow locked in. ‘On top of the Pyramid of the Sun in Teotihuacàn’ comes last on the album, it lives up to it’s title. Known to be the holy city of Teotihuacan (‘the place where the gods were created’), this is close to Mexico City, built between the 1st and 7th centuries A.D. In this track, time seems to slow to a crawl, it feels like a ‘peak’ moment – all clear and beautiful, but like any peak, it gets uncomfortable at times. While not without its harsh moments, ultimately this is a gorgeous, intimate and emotive album. Petit’s new album should appeal to fans of Machinefabriek, Eugene S. Robinson and Lydia Lunch, a long-time collaborator of Petit’s. He has also collaborated with a massive amount of renowned artists, including Jarboe (Swans), Cindytalk, Faust, Murcof, Audrey Chen, Yannick Barman, and PAS, as well as Cosey Fanni Tutti (Throbbing Gristle), Edward Ka-Spel (Legendary Pink Dots), Graham Lewis (Wire), Barry Adamson, James Johnston (Gallon Drunk/Bad Seeds/Faust), and many others. Philippe Petit is interested in soundtracks. Even if he creates original music, he’d rather be introduced as a “musical travel agent” than a composer. Since the early 2000s, he has been performing the world, playing festivals all over Europe, Canada, USA, Mexico, Australia & Asia. “I like to move various glasses, pieces of wood, stones, or percussive objects, as well as taking advantage of vinyl material to fondle released sounds. 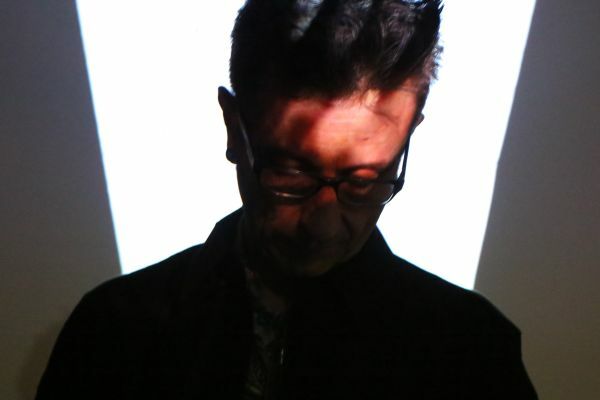 I deal with electroacoustics because I rely on electricity/amplification to produce, manipulate and work on sound material, but I try my best to explore various genres and make sure that each of my album differs from the previous one, trying to avoid routine and surprising to my listeners,” explains Philippe Petit.